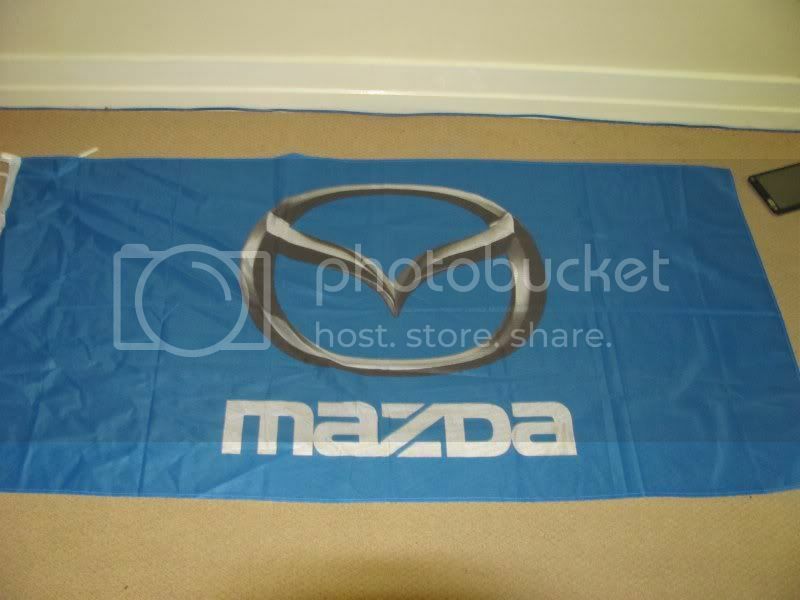 So, in saying that, I purchased a 150cm x 75cm flag, so we can do an AGT only travelling Mazda Flag! The flag can be signed, with either your name or username, dont care, but no graffiti!! Last edited by marcs_sp20; 20-04-2011 at 10:53 PM. Well that's just a reason to have meet up and cruise in each state. AGT national flag cruise. I like it. I'm in. Now I have to clean my car! I'm up for that, We've got A.E with the yellow sp20, Me with the black, Sp-20-db, Smufy with a yellow. Sounds like a good little sp20 cruise with the flag. Last edited by wheeler33; 06-04-2011 at 08:15 PM. I'll put my hand up for the Sydney meet for this. SO who in the NSW groupe wants to volunteer to receive & send the flag off to Victoria?